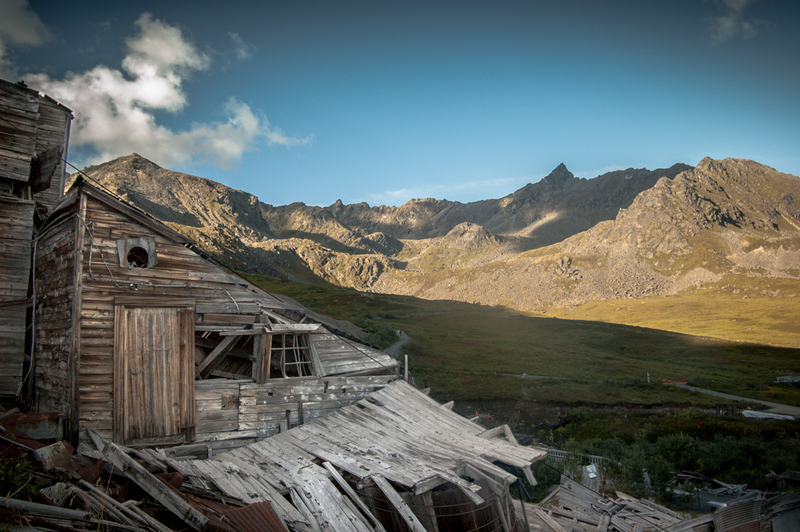 A derelict workshop at Independence Mine, Alaska. I’ve found that structures, over time eventually begin to mimic they’re natural surroundings, blending in and harmonizing with nature. The features and details of these buildings have become delicate and fragile, much like the slow growing, high country vegetation. One wrong footstep and both are destroyed. i like how you juxtaposed the structure on the landscape, great catch!